Originated before 1869 with Dr. John K. Eshelman of Lancaster Co., Pennsylvania. 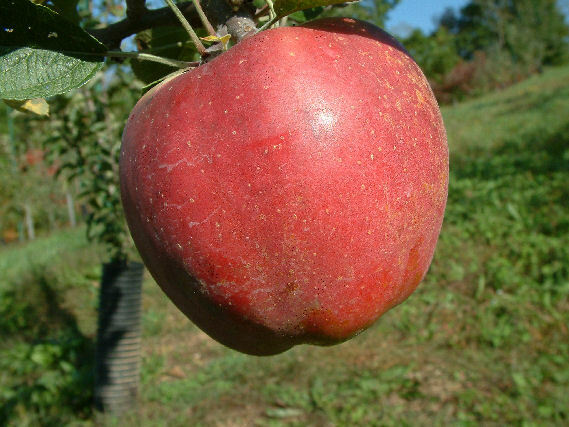 It is a large, well-colored apple which grows on a vigorous, productive tree. Fruit is medium to large and slightly ribbed. The thin, smooth yellow skin is mostly covered with crimson and darker red stripes. Flesh is yellowish-white with red staining beneath the skin. Ripens late June to July, later in Northern regions.